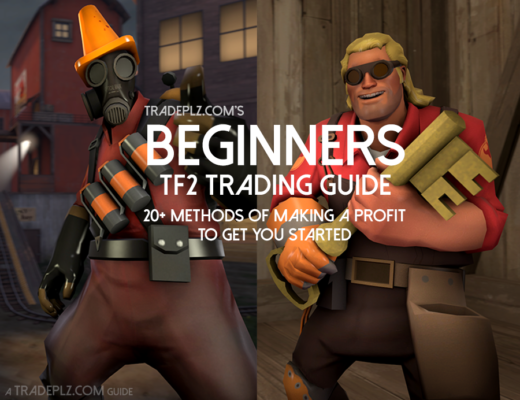 In this guide I’ll show you how to make profit in TF2 and exactly how I do it, it’s a collection of different trading guides and techniques that I use to make profit with, it’s nothing overly complicated and everyone can get started doing what I have done. The title isn’t made to be bragging, I earned my profit over years of trading and it has taken a lot of time and effort to earn what I have earned. A word of warning before you start reading this guide, don’t expect to earn some mad profit without putting time and effort into the trading, trading takes a lot work before you’ll see any great profit. 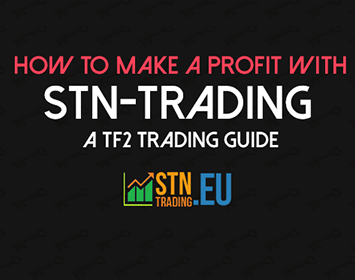 Enough of that, let me show you how to make profit with TF2 trading now! This guide contains affiliate links, click them to support the site, otherwise don’t. Trading with unusuals in TF2 is where the big profit is, and that has been the case for me too, I been earning profit with unusuals in a couple of ways but I mostly been trading with low tier unusuals, the cheapest in TF2. What I do is pretty straightforward really, I start with placing listings up on Backpack.tf looking to buy a variety of unusuals, I tend ask to buy hats a little bit under the market value. I then wait for buyers coming to be me willing to sell their unusuals. Just because I bought it under market value I now can resell the unusual for it’s actual market value (or near it), I usually aim for around 1 key profit/trade. What to buy the Unusuals for? 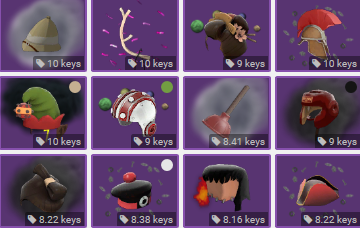 At the moment of writing this guide the lowest priced unusual is around 8 keys, knowing what the cheapest unusuals is worth helps me when I’m placing my buy listings, I don’t have to keep track of all the current prices of all the unusuals and effects because I know if I buy any unusual hats at 8 keys I will at least make back that I invested. This let’s me easily create hundreds of listings for that same minimum price, and the more buy listings I have up the more likely somebody will sell their hats to me. As you may have guessed this works the best if you have a lot of keys to buy unusuals for, I also use a trade bot that does the trade for me, but this would work manually also, it just takes more time. 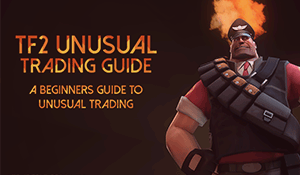 If you’re new to Unusual trading or just want to learn more about it I suggest you check out my Unusual Trading guide over here, it’s a huge guide where I talk about the basics of trading with unusuals and also a bunch of methods on how to profit with unusuals. It’s pretty much filled with all the different ways I used to earned profit with unusuals. 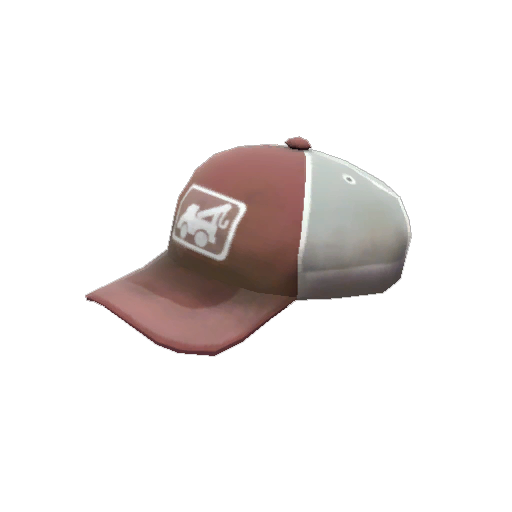 Craft hats is a term for TF2 hats and cosmetics that are the cheapest around and that can be used to craft a new hat with, the demand for these hats isn’t great but they don’t all look that bad and for players that doesn’t have that much metal they can be a great affordable way to change their loadout. What I do is I buy and sell these craft hats, don’t expect to gain much profit from each trade (I earn around 1-2 scrap/trade) instead see it as a numbers game, there’s a lot of people that want to buy & sell these hats. I do around 200-300 trades each day, and with time the profit adds up. What hats should you buy then? There’s hundreds of different hats that you can buy really, what I did was I head over to Backpack.tf pricing spreadsheet and sorted the hats after price, all the hats that are priced at “1 hat” or a few scrap above or below that is a good start. (sort by Unique price). If you rather have a text file with all the names of hats in that price range you can find one here. I made this list over a year ago so it might not be 100% accurate, but it’s a huge list of names so some errors might occur. 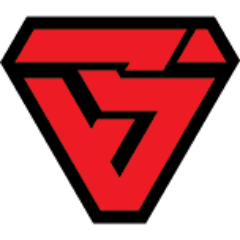 Opskins deals with virtual items of many games, including TF2. 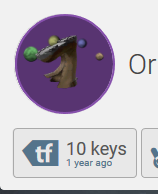 The TF2 keys on OPskins are consistently cheap. 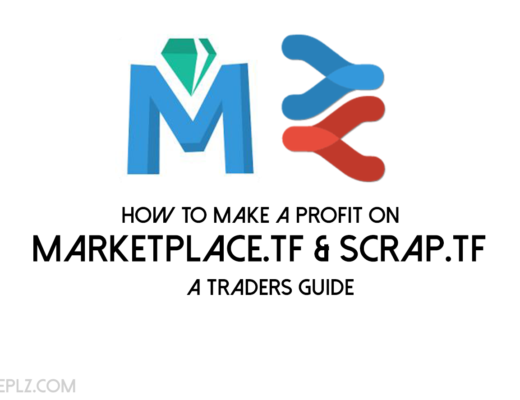 Marketplace.tf is the biggest TF2 marketplace when it comes to cash trading. 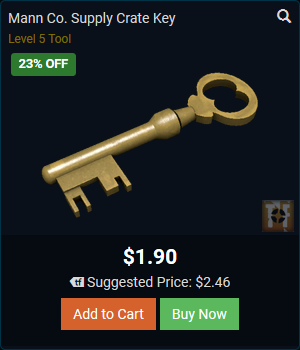 You can use the code “uncle” at checkout to get 1 keys for free when buying 11 keys (the code can be used once every 24 hours), this will help you get some very cheap keys. You can also try your luck with placing buy order for some TF2 keys, this won’t be as cheap as it would be using the “uncle” code but it’s a great option if you just want to buy a few cheap keys. Bitskins is mainly a CSGO marketplace but they opened up for other games as well, including TF2. The keys being sold here varies in price a lot, I found keys at the $1.7 mark quite often. The site doesn’t have that big of inventory when it comes to TF2 items but it lure people in with their low sales fees quite often (sales fee of 5% compare to 10% on marketplace.tf & Opskins). Buy orders are also possible to place on Bitskins. Bitskins mainly is a marketplace for CSGO skins you’ll find from time to time some great deals for TF2 items from CSGO traders that just want to get rid of their spare TF2 items, and some of them have no idea what the value of their items has, but to find these good deals you need to be lucky and have plenty of patience. The Steam community market is a place I regularly find some great deals on, what I do is very simple, I go through listings of Unusuals on the market and then check their price (over at Backpack.tf) to see if there’s any profit to be made from buying them. It’s time consuming and often when I do this I will end up with nothing, but when I get lucky it defiantly worth it, I found deals that made me 30+ keys profit, but those kind of deals are very rare. 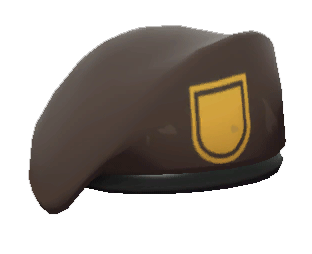 Bill’s hat has been a popular item in TF2 for a long time, and it still has a good demand. What I do is buy and sell Bill’s hat between different marketplaces/platforms. Here’s a example what I like to, first I buy Bill’s hats with keys and metal, I make a listing on Backpack.tf to get sellers to send me trader offers, I then either resell the Bill’s for a higher price, but the competition among sellers is quite high so there isn’t much profit to be made there (unless you snag some painted hats). 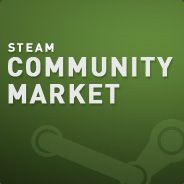 Next I’ll head over to the Steam community market to sell my newly bought hats, the price for Bill’s hat usually are higher over at the Steam market, making it a perfect place to sell our hats at. When I’m selling hats without any paint I usually just undercut the lowest hat listed on the market, just make sure you make a profit doing so. When it comes to painted hats you can expect to get more from them, and I tend to sell them for a bit more, just check the other listings to see what’s a good price for your painted hats. Hats painted with A Distinctive Lack of Hue (black) and An Extraordinary Abundance of Tinge (white) can sell for a lot more in my experience. I usually just browse through a couple of pages of Bill’s hats listings and see what other hats with white and black paint are being listed for, then I undercut them so I’m the cheapest seller for that colour, there’s sometimes people selling these two colours very cheap, I usually just ignore them because I know that painted ones can be sold for more. Patience is key when it comes to doing this, expect to wait quite some time before you sell your hat, especially if your going for a higher sell price. Here’s a few things you can do take make a profit in TF2 that I either done in the past or that stopped working efficiently now, it might be worth doing for you though, especially if you can add your own twist to the methods below. Both taunts and strange quality items have a good demand in TF2 (generally speaking) so buying and selling these types of items have in the past been a good way of making some profit for me. I stopped dealing with these kinds of items just because the amount of (trading bot) sellers and buyers are so many that there’s not much profit to make. What you can do instead is to take advantage of the low prices are for these items when buying for keys and metal, reselling these items for keys and metal usually won’t give you that much profit, instead you can try and sell them on other platforms, the Steam market, Marketplace.tf or OPskins to name a few, the prices varies greatly from platform for platform in my experience. 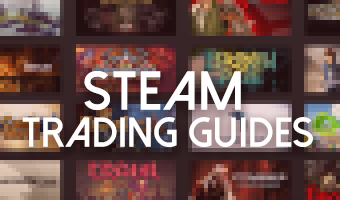 There’s other games on Steam that has a active trading community and economy, TF2 trading is great, I have tried my luck in other other games too, here are a few guides for other Steam games that you can check out, happy trading! 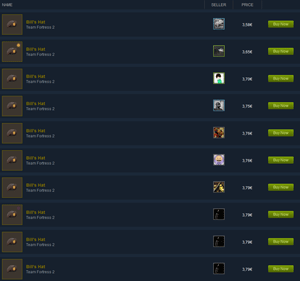 I used to buy Steam Trading cards with metal (on TF2Outpost mainly) and then sell them on the community market for a small profit. I would also place buy orders on Trading cards packs (packs of 3 random trading cards) then I would open them and sell the trading cards one by one for a small profit each (we’re talking like 0,01€/card) and sometimes I’d get a rare foil card and that would earn me a bit more, both of these methods were very time consuming. The plus site of dealing with trading cards is that there’s so many cards out there and some people don’t really care for them and just want to get rid of them. The negative aspect of trading with cards is that the profit for each trade is really really small, and nowadays more people are trading with cards (including some trading bots), and all the competition is making it hard to find any decent profit. That being said there’s still plenty of potential of trading with Steam trading cards, you just have to find your own twist to it and think outside the box. Trade.tf has this feature that scans the major trading sites for deals on items, and when a discounted deal is posted somewhere you’ll get a notification on the site. This feature is far from correct every time, in fact a lot of the time the site just scanned the trade wrong and it’s not a discounted deal at all, but from time to time you’ll find some good bargains being posted there, you just have to double check everything before sending your trade offer. The feature is called Live deals, and you need to have Pro membership to use it, you get Pro for free by adding Trade.tf to your Steam name. I stopped doing this because it took way to much time and the profit wouldn’t be that great to be honest, but for a new trader that’s really counting every refined metal that you can get your hands on this might be worth doing. On Marketplace.tf there’s a section called Deals, here you’ll find a bunch of listings up for items that are being sold for a discount. What I would do is I would sort the page after cheapest items first and then change so only strange quality items would show up. I would find plenty of Strange quality items being sold for a nice discount here, but be aware that you can’t always trust the % discount mark that’s displayed on items on Marketplace.tf, sometimes the item in question has a price suggestion over at Backpack.tf that’s outdated or the the discount % just isn’t correct. Always double check the current price by checking out the current price suggestion and current buyers & sellers over at the item’s Backpack.tf page, then you’d want to convert the price of the item your looking at from money (dollar sign) into refined metal/keys, you can do this with a calculator or you can simple use Calculator.tf which is great if you’re looking to convert different currencies. once you converted the money price into refined metal or keys you can easily see if you can make any profit by trading it for metal. This sadly doesn’t work any more now that they made Steam gift not tradeable. But in the past this was a great way to earn some profit, wait for Steam sale to happen, stock up on games, wait for the sale to end and then trade the games for keys for a slight profit. Games bought as tradeable gifts before the update happen is still tradeable, you just can’t purchase any new games as Steam gifts from the store any more. You can check out these sites if you’re interested in starting to buying and selling these game gifts for profit.